To this particular reviewer, mental health, and issues surrounding mental health have not been the easiest category to find novels written about. Novels such as Go Ask Alice, The Solitude of Prime Numbers and The Perks of Being a Wallflower are all well-know examples of this genre, yet if you compare them up to books that have been written about cancer, or abuse, the scales are heavily weighed towards these ones. And I am definitely not criticising these novels, as any survivor who is brave and feels confident enough to write about their experiences should all be praised. But to me, the world of mental health, and issues that surround mental health have not be entirely explored. As, as readers are probably aware, there is still a massive taboo that has been attached to mental health, and if there was plenty of literature about it, it may be understood more. 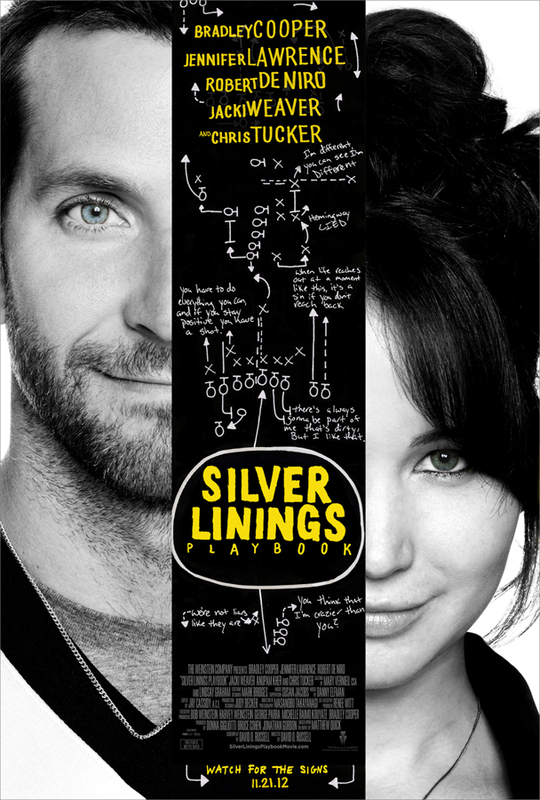 Matthew Quick’s The Silver Linings Playbook is one of those novels that deals with mental health in a practical, straightforward and in-your-face sort of fashion. It deals with the everyday life of taking prescriptions, dealing with relapses and sessions with therapists and counsellors, as well as dealing with how the family and friends surrounding a person dealing with mental health get affected. After suffering a breakdown, and spending time in a psychiatric unit, Pat Peoples becomes determined to get his life back on track. Moving between building relationship with estranged friends and family, getting fit, and most importantly, looking out for that silver lining to have positivity in his life, Pat’s ultimate goal is to get the reconciliation with his now-estranged wife, Nikki. However, through obstacles, such as his overly protective parents, mood swings that rage civil war with his own good intentions, and one particular smooth jazz song, Pat finds that he seems to be running into circles. But, when he meets the mysterious and beautiful Tiffany, who quickly befriends him and helps him understand that labyrinth that is his own thoughts, he seems to be running closer and closer towards his goal. But when Tiffany reveals secrets that Pat’s been kept in the dark about, and issues that haven’t been revealed to him, is all this running for nothing? Or could his find a new silver lining to reach for? Now, it’s very hard to write a book summary without mentioning the 2012 film starring Bradley Cooper and Jennifer Lawrence. Because that is such a good film, and despite not following the book completely, it definitely holds its own and the trailer for the film will be linked below. However, after a reread of the book, there is something about the book-Pat that Cooper couldn’t quite get. Pat is such a brilliant individual. Because despite having his own issues, and struggles, he really tries to reach for that silver lining in every scenario. He is such a glass-half-full kind of guy, and he seems loyal towards his dreams. And his dream is his wife Nikki. However, it is revealed that their love, and the idolised version that he paints in his head is completely different from the reality. And for the reader to experience that is a blow, because you discover it as the same time as Pat does. Pat’s mind, and the way it works is also an example of excellent writing. A thought pattern can be very difficult to write down, as it’s never linear and like a train track. It twists and turns, but usually always comes back to one idea or solution. Pat’s mind is written that way, but his constant, underlying thought is ‘Nikki, Nikki, Nikki’. And not only does that reveal how well Quick can write a person, but also how his mental illness borders on obsession. Now, as I said, the film in comparison to the book has differences. The relationship Pat has with his parents is one of those story arcs that the film doesn’t go properly into, especially in relation to his father. Pat’s father – aptly named Pat Sr is one of those characters who you wish had his own point-of-view chapters, just to see what he thinks of his family However, to me, the real star of the show is Tiffany. And despite Pat being an excellent protagonist, and really showing how mental illness can affect people’s lives, he is in a different league to the complexities of Tiffany. Like Pat, Tiffany suffers from her own issues, which is only really explored in the later chapters, yet she is also one of those characters that you sometimes wish you were. She is incredibly confident about her own abilities in deciding what she wants, and makes herself very clear when she voices her opinions. However, she unfortunately has a tendency to, when she wants something, she will the hardest to make it difficult to gain it. Her and Pat’s relationship are also one of those which seem to have been thrown together by destiny. They both argue, are both incredibly stubborn, and yet together, they have some of the most interesting conversations with each, and seem to be completely at ease with each when they’re alone. One more thing I love about the book is the chapter names. They are named after lines from each chapter that are completely out of context, but make for some enjoyable reading. My personal favourite is ‘Sister Sailor-Mouth’. I’m going to be completely honest here. This isn’t the best written book, and nor is going to be the best book I’ve ever read. But the story does seep out from the page, and makes you want to read it over and over again. However, the film version is definitely one of the best adaptations I’ve seen. And despite it not following the story completely, the acting ability of Cooper and Lawrence, as well as the documentation of the family relationships and fitting soundtrack, does add to the whole quality of it. So yes, read the book and then watch the film. And I’m going to end this review with a quote from Lawrence in her Oscar-winners speech, which I think sums up the feeling of the book, and what she wanted to portray through Tiffany, – ‘I don’t think we’re going to stop until we get rid of this stigma for mental illness. I know David won’t. And I hope that this helps. It’s just so bizarre how in this world, if you have asthma you take asthma medicine, and diabetes you take diabetes medicine, but as soon as you take medication for your mind, it’s such a stigma behind it’.